Today's evolving business environment requires that organizations combine the talents of diverse and dispersed individuals to develop creative solutions to complex problems. One such emerging concept used by successful organizations to leverage the diverse talents of dispersed individuals is collective creative problem solving (CCPS) in distributed work teams. 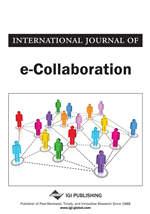 The purpose of this study was to develop a better understanding of the nature and motivating factors of CCPS in geographically dispersed teams. This goal was accomplished through examining information technology (IT) distributed work teams in a U.S. federal IT organization. Semistructured interviews were conducted with 21 IT specialists to explore the perceptions and lived experiences regarding CCPS of team leaders and team members in IT distributed work teams. Five core themes emerged: (a) developing a strategy to facilitate CCPS in distributed work teams, (b) using team interaction to stimulate CCPS, (c) motivating team members to engage in CCPS, (d) leading CCPS from a distance, and (e) using technology to achieve CCPS in distributed work teams. Based on the conclusions drawn from the study's findings, recommendations are provided for leaders and practitioners to leverage the full capabilities of CCPS in dispersed work environments. In response to the changing business environment, companies have increasingly focused on new organizational models to leverage dispersed and diverse talents to sustain competitive advantage. One such emerging model consists of using geographically dispersed work units (Mohrman, Klein, & Finegold, 2003), also referred to as virtual, global, technology-enabled, and distributed work teams (Chamakiotis, Dekoninck, & Panteli, 2010). Distributed work teams allow organizations to reduce time to market by overcoming the constraints of conventional teams, such as varying physical locations and time zones (Ayoung, Kyung-Shik, Manju, & Min Soo, 2011; Powell, Piccoli, & Ives, 2004). As an increasingly-common component of business, distributed work teams have “become one of the building blocks of a successful organization” (Xiaojing, Magjuka, & Seung-hee, 2008, p. 77). Although distributed work teams are becoming increasingly pervasive in business, only a limited number of studies have provided information on how organizations can capitalize on the creative talents of diverse and dispersed team members. In the rapidly changing business environment, complex problems necessitate creative solutions that blend the knowledge, skills, abilities, thoughts, perspectives, talents, and insights of diverse contributors (Hargadon & Bechky, 2006; Pinheiro, 2009). As a distinctive form of creativity, collective creative problem solving (CCPS) represents the triggering of creative insights through group interaction—insights that are not the idea of any one individual but rather the collective (Hargadon & Bechky, 2006). During CCPS, individual ideas converge (Kenny, 2008), which allows team members to collectively develop a new understanding of the problem, develop possible solutions (Brophy, 1998; Hargadon & Bechky, 2006), and thus achieve creative outputs. Combining multiple individual ideas on a collaborative task is difficult; therefore, the development of an environment that encourages creativity is required (Yamamoto & Isahara, 2008). Creative outputs have become the decisive basis for competitive advantage (Junarsin, 2008; Singh, 2011). Therefore, to meet the challenges prevalent in a complex, ambiguous, and competitive business environment (Uribe Larach & Cabra, 2010), firms must consider tools such as CCPS to leverage the collective creative competencies of dispersed teams. In the past, creativity, in any form, was not highly valued; however, organizations are “now paying far more attention” to the role of creativity (Byrne, Mumford, Barrett, & Vessey, 2009, p. 256). Creativity is now viewed as a strategic tool that is critical to organizational sustainability (Firestien, 2004). In a study by Weinzimmer, Michel, and Franczak (2011), more than 1,500 chief executive officers from 60 nations and 33 industries identified that the phenomenon of new ideas leading to creative outputs is one the most significant components of a firm’s sustainability. Leaders have also begun to recognize that “the growing complexity of problems requires collective [and not individual] solutions to produce creative outcomes” (Bissola & Imperatori, 2011, p. 77). In contemporary organizations, creative ideas are rarely produced in seclusion. Instead, individuals contribute ideas to teams (Fedorowicz, Laso-Ballesteros, & Padilla-Meléndez, 2008). Teams that can develop creative outputs and innovative solutions obtain a competitive advantage for the organization in terms of growth in profit, return on investment, and speed in introducing new outcomes to the market (Dervitsiotis, 2011; Weinzimmer et al., 2011), all of which contribute to meaningful and long-term success (Estrin, 2009; George, 2007).